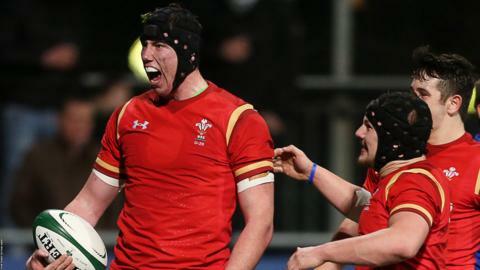 Wales Under-20s lock Adam Beard has signed his first professional contract with the Ospreys. Swansea born and bred, the 20-year-old has agreed a three-year deal after making his Pro12 debut in the draw with Glasgow in January. Beard, who is 6ft 8in, has made five senior appearances for the Ospreys. "I'm chuffed to bits. I've been working hard the last few years since I signed my development contract," said Beard. "I'm just grateful of the opportunity I've been given and I'm looking forward to the next three years. "I'm still young, I've still got a lot of things to learn and there isn't a better to place to do it than here with people like Alun Wyn [Jones] and Lloyd Ashley to learn off. "The competition in the pack is second to none and that can only make me a better player in the future."